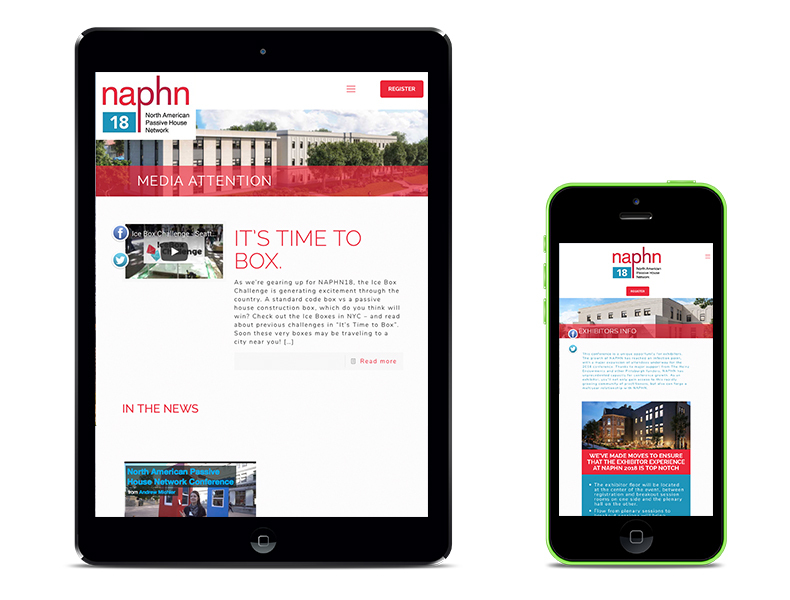 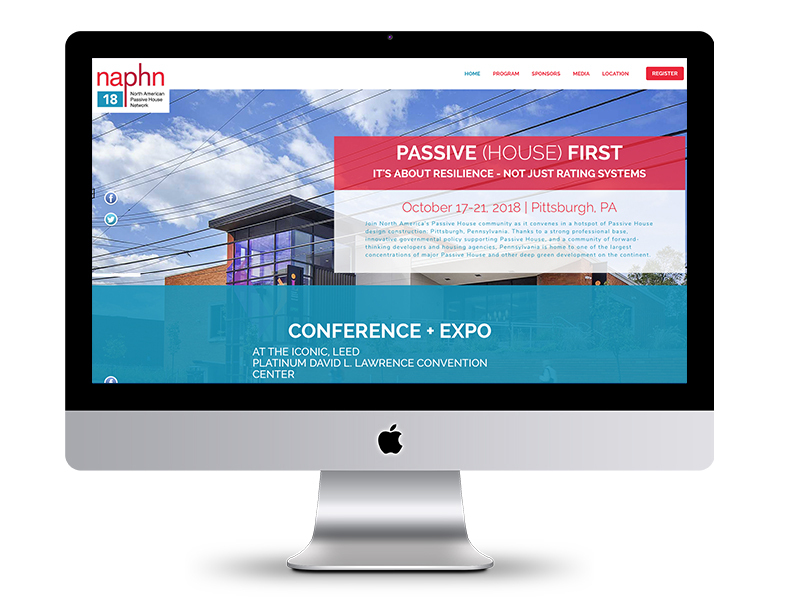 321Blink Work - Web Design - "NAPHN Conference Website"
The North American Passive House Network, or NAPHN, is an organization leading the transformation of the building industry to low-energy, high-performance Passive House design and construction. 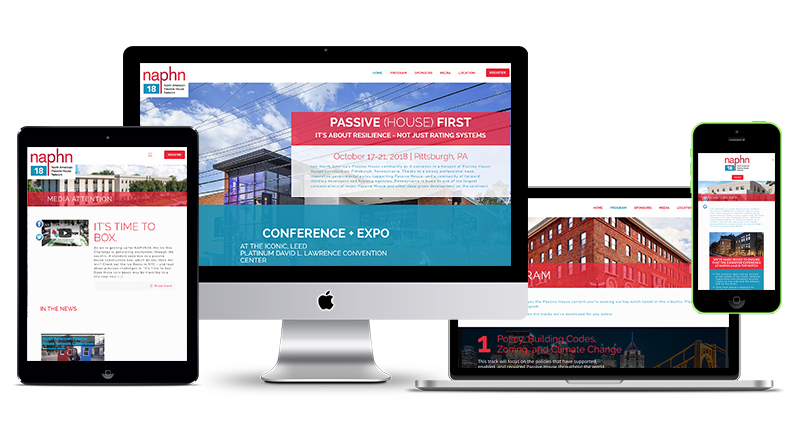 The Pittsburgh chapter hosts a national conference and expo each year at the David L. Lawrence Convention Center. 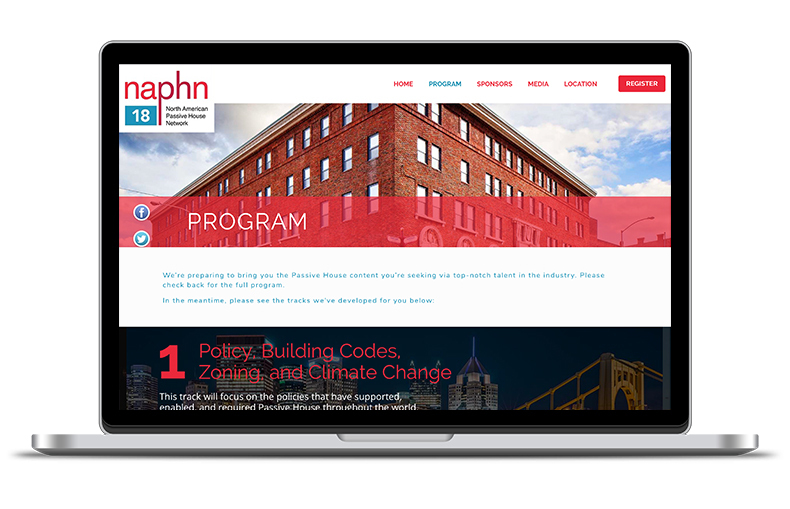 We designed and developed a brand new website in order to promote the event, facilitate registration, guide attendees to workshops and panels, and educate the community about NAPHN as a whole.